There are reports this morning of a vehicle-ramming attack on Israeli civilians standing at the bus/hitch-hike station at Tapuah Junction in the Samaria district. A Palestinian Arab terrorist carried out a car attack at Tapuach junction in Samaria on Sunday morning, shortly after 9:30 am, initial reports state. The driver was apparently heading northward along Route 60, toward Huwwara, when he plowed his car into the trempiada, or hitchiking and bus stop, at the popular intersection. Three people - teenagers or young adults who were waiting for rides - are injured. Two are seriously injured; they have been evacuated by helicopter to nearby hospitals. The third is listed as suffering from light injuries. 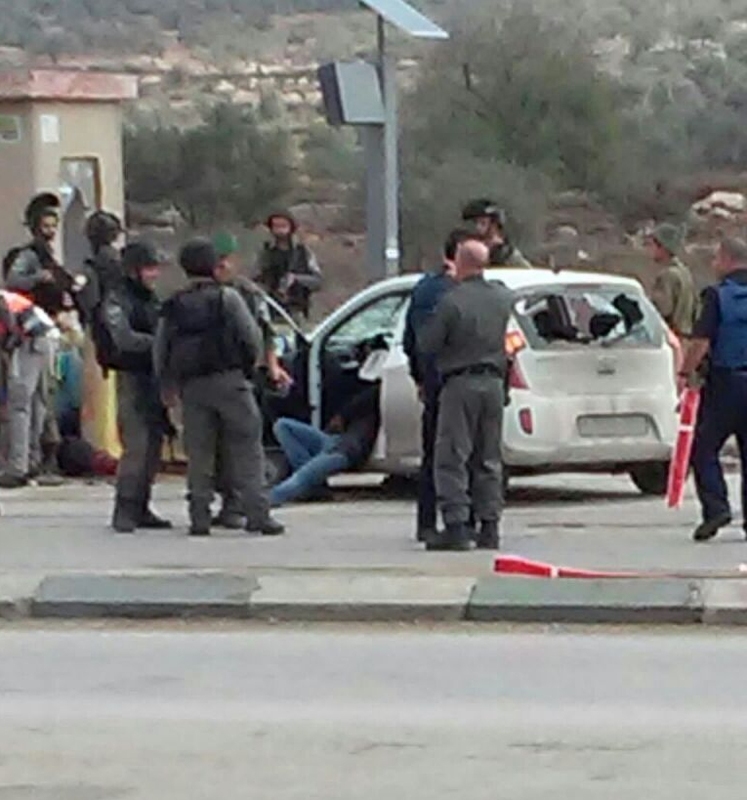 The terrorist drove rapidly towards a group of Israelis standing at a hitchhiking station before colliding with them. Border Police forces permanently stationed at the junction shot at the attacker, who ran into a concrete obstacle and died. The initial reports describe rather horrifying injuries to the victims.